With the formation of Jalal-Abad State University in 1993, the Department of Chemistry was opened. Since the opening of the department until 2010, the department was headed by Ph.D., associate professor Karabekov AK, Ph.D., associate professor Ysmanova Z.B. Ph.D., associate professor Borkoev BM, Ph.D., associate professor Saliyeva K.T., Ph.D., associate professor A.Adysheva A. Ph.D., associate professor B.K.Ernazarova (2011-2013), Ph.D., Associate Professor M.A. Tulenbaeva (2014-2015). Since April 2016, by the results of a competitive selection, a Ph.D., associate professor Arstanbekova Nurzhan Batyrovna has been appointed. Research work of students (NIRS and UIRS) are an obligatory, integral part of the training of qualified specialists as an integral part of the educational process. Arstanbekova NBVassoevich “The use of computer technology in teaching didactic chemotherapy,” Jalal-Abad, 2014. 1. Arstanbekova NB, Ismailova Ch.Sh., Tulenbaeva M.A. Workshop on inorganic chemistry. Tutorial. – Bishkek, 2000. 3. Arstanbekova NBVassoevich The test assignments. Jalal-Abad, 2013, -380b. 4. Ernazarov B.K. and others. Workshop on high-molecular compounds. – Jalal-Abad, 2010. 5. Tulenbaeva M. A., Bechelova A.T. Inorganic synthesis. – Bishkek, 2010. 6. Joldoshaliev NS On the subject of biochemistry laboratory praktikum.-Abad, 2003. 7. CH.Sh. Ismailova. Analytical chemistry. Guidelines for laboratory work. – Bishkek, 2001. 8. Tulenbaeva MA Bechelova ATFomenko Practical analytical chemistry. Zhalalabadelektro Abad, 2014. Ernazarova B.K. Korea International Women’s Invention Exposition 2015 May 15- 18. 205 Seoul Korea. “H armonization of science and education in the modern conditions of globalization and. Integration ”, the International Park Conference devoted to the 75th anniversary of the Issyk-Kul State University. K. Tynystanov. KR, professor, correspondent member of the National Academy of Sciences, S.Naamatov prof. İ.B.Bekboevdin dedicated to the 85th anniversary of “Globalization” that in the context of the national education system and the problems of scientific and practical conference. Bishkek, -2015. October 8-9. “Theoretical and practical problems of the development of modern science” XI International Scientific and Practical Conference, Makhachkala: scientific publishing. Center “Testing” 2016. 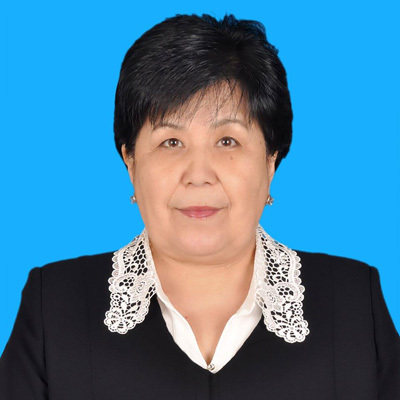 Arstanbekova NBVassoevich // virtual chemistry experiments and didactic potential of the Kyrgyz Academy of Education, No. 3 (35). KR, professor, correspondent member of the National Academy of Sciences, S.Naamatov prof. İ.B.Bekboevdin dedicated to the 85th anniversary of “Globalization” that in the context of the national education system and the problems of scientific and practical conference. Bishkek, -2015. October 8-9. 246-250bb. Arstanbekova NBVassoevich The main areas of chemical education informatization // terms.// SU, No. 4, 1st edition. 2015. “The Role of Science and Education sovremennıh usloviyah globalization”. International scientific pr.konf.posv. 75 academy KR, Love B.Murzubraimova. December 12, 2015g. -S.33-36. Arstanbekova N.B. Bolochoktogu chemistry mugalimderin dayardoodu kompyuterik tekhnologlardy koldonuunun ayrym butterleri // Bulletin of the Kyrgyz National University. – Bishkek, –2015. Specialist. Release. Scientific Ave conf. “Actual problems of the educational process at school and university”. November 6, 2016 p.440-443. Arstanbekova NBVassoevich Chemical experiment in information technology through a combination of training // Bulletin SU, No. 4, 2015g. – S.36-41. Arstanbekova NBVassoevich Some of the preparation of students in higher education institutions to conduct chemical experiments // Kyrgyz-Turkish “Manas” University, in 2016. (In conjunction with OMPİ) 203-204bb. Arstanbekova N.B. “Competence and competence”. // Actual problems of modern science in the 21st century. XII International Scientific and Practical Conference, Makhachkala, 2016, p.120-123. Ernazarova B.K., Bechelova A.T. Analysis of water from the spring “Besh-Bochka” // “Theoretical and practical problems of the development of modern science” 11 XII International Scientific and Practical Conference, Makhachkala: scientific publishing.Center “Testing” 2016-g, s9-11. Mamaturaimova N.A., Tulenbaeva M.A. Influence of cations on complex compounds of cobalt, nickel and cic in hexamethylenetetramine metal complexes //,. Science and new technologies, Bishkek 2014 – p.6. Mamaturaimova NA, MA Tulenbaeva “The role of school education, the natural chemical experiment” // JSU, 2016, “Science and the national economy,” the conference. Mamaturaimova NA, MA Tulenbaeva “Geksametilentetramindin free and the structure of complex molecules.” 75th anniversary // B.Murzubraimovdun Conference. Osh State University, 2015. Mamaturaimova N.A., Tulenbaeva M.A. “An effective method for the formation of nickel oxide”. // “Actual problems of the humanities and natural sciences”. No. 5.- 31-35. – Moscow, 2016. Zholdoshalieva NS, Salykov R. The effect of glauconite on the physiological parameters of sheep // Science and new technologies No. 7,2012 p. 92-93. Zholdoshaliyeva N. S., Salykov R., Abramova I. A., The influence of the mineral glauconite on the immune reactivity of the sheep organism // Republican scientific-theoretical journal Science and new technologies No. 7,2012 S. 102-105. Joldoshalieva N. S.,Salykov R.,Bektemirova T. A. Effect of glauconite on the metabolism of sheep// Istanbul, Turkey VETistanbul group congress 2014. N. Joldoshaliev S. Glauconite mineral agricultural Pet impact on the physiological index // Bulletin of the Issyk-kul Universidad # 40 2015 S. 178-180. AA Ernazarova BK Bakirova “which has anti-bacterial activity,” galaktopiranoziltiosemikarbazid // Patent No. 1785. 2015.30.09.2015. 3. Al-Farabi Cossack National University of RK, Almaty. 4. Kazak National Pedagogical University named after Abay RK, Almaty. 6. English national university named. Kyrgyz national University named. GPP. 7. English state university named. I.Arabaev. KTM Bishkek. 9. Kyrgyz State Medical Academy . I.K. Akhunbaeva. 10.Kyrgyz Technical University. I. RazzakovaKR. Bishkek. 11. Kyrgyz Mining – Metallurgical Institute named after U. Asanaliev. KR Bishkek. 12. Osh State University, KR, Osh. 13.Osh State Social University of theKyrgyz Republic Osh. 13. Osh Technological University. M. Adyshev KR Osh.